Whether you require post & rail fencing for the horses or stock netting to keep the sheep in, we can provide the right service to meet your needs. 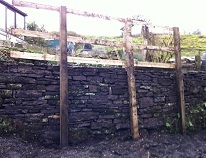 We have a Dry Stone Walling Association qualified waller who can undertake new build feature walls to create the right impression or repair gaps in fallen walls. We have experience in the ancient countryside skill of hedgelaying. This is where hedgerow plants are bent over and weaved together to create a field boundary. Hedgelaying is seeing a growth in popularity due to the benefits of a proper hedge as a wildlife habitat. 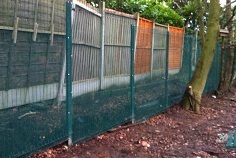 We can also renew those old fence panels in the garden to brighten up the place.